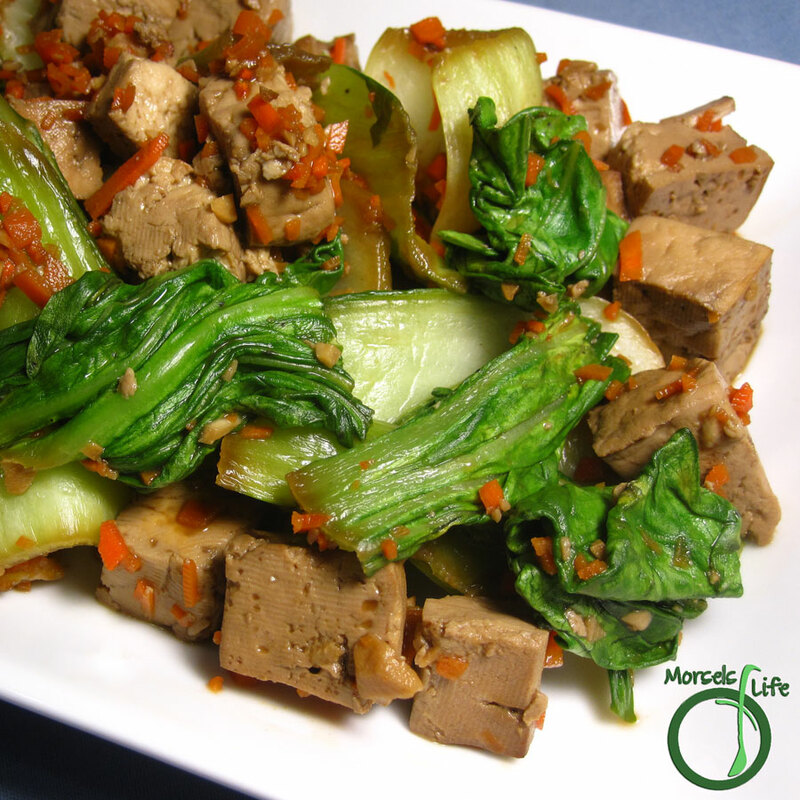 A simple stir fry combining tasty bok choy and flavorful tofu cubes. We'd recently gotten some bok choy, and we had a lot of tofu, so when I saw this recipe on Savvy Vegetarian, I knew it was a go. This recipe, like most stir fries, is quick, easy, versatile, and quite forgiving. For example, I threw in the soy sauce a bit early, before the tofu had a chance to get all golden. But all was not lost. The tofu simply soaked up all the flavor - no grudges held. Don't you just love those flexible and forgiving recipes? I know I do! What's your favorite forgiving recipe? 1 pound 2 blocks tofu, cut into half inch cubes roughly 32 per block - Don't laugh! I majored in engineering. Stir fry tofu until mostly golden brown. Add in bok choy leaves, and stir fry until just wilted.